There are 45 species of frogfish found in the tropical and subtropical waters near the coasts of Africa, Asia, Australia and North America. 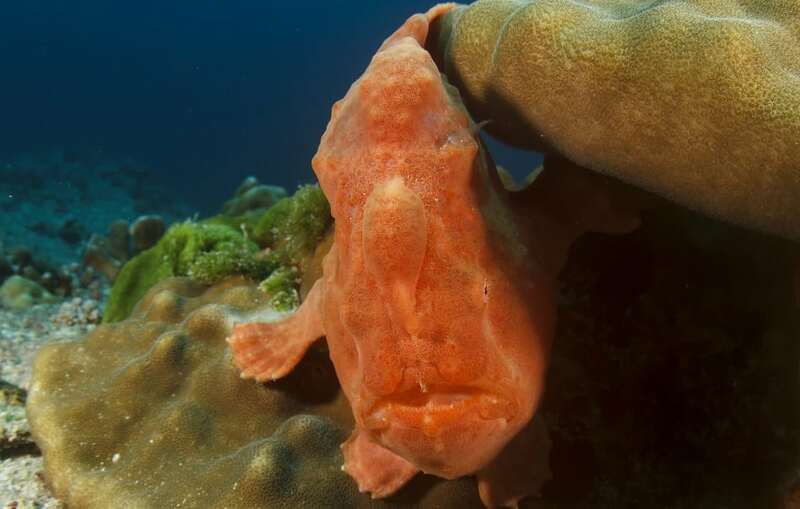 Frogfish are bottom-dwellers and spend their time on the rocky sea floor in coral reefs. Frogfish rarely swim. They usually walk on the seafloor using their modified pectoral fins.